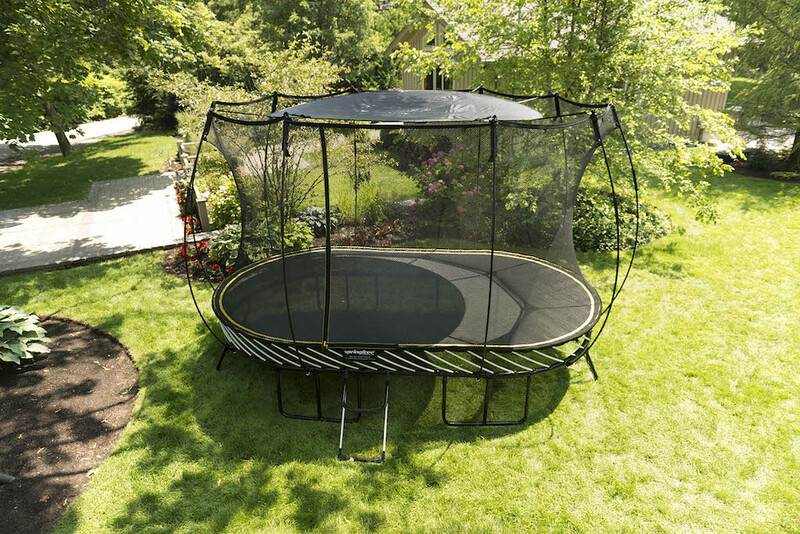 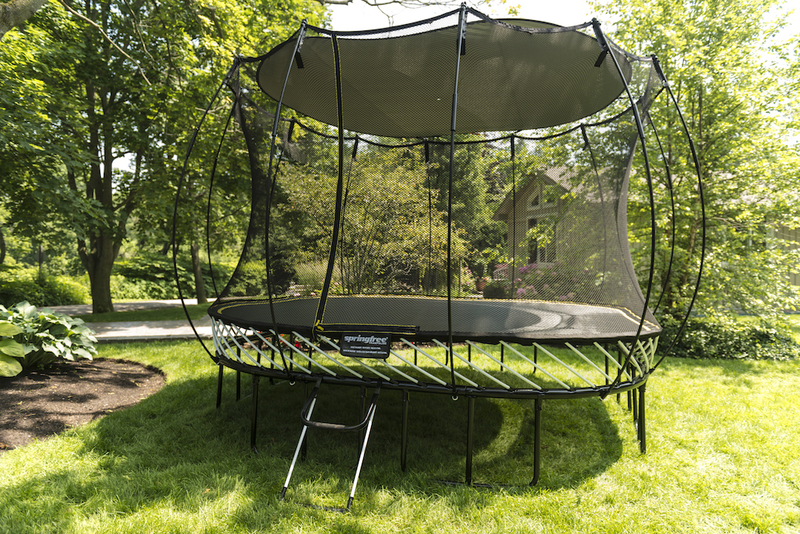 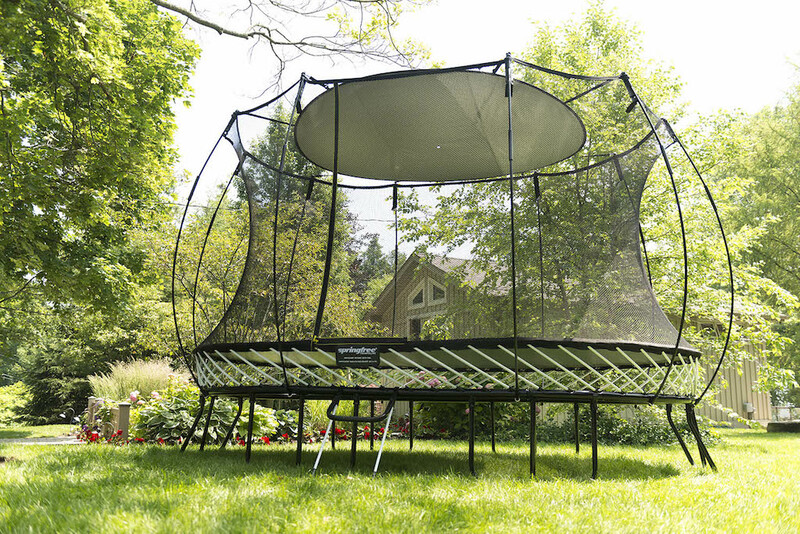 Keep your family cool and play in the shade with the addition of the Sunshade for your Springfree Trampoline. 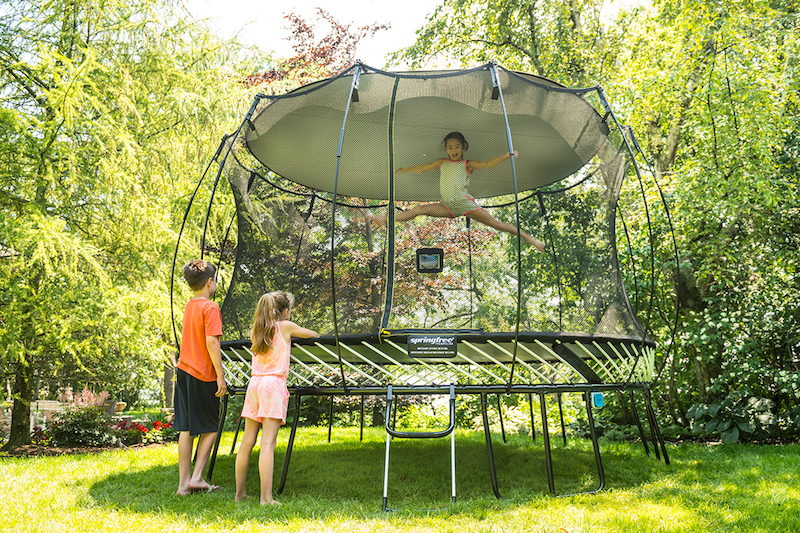 Ideal for young jumpers, the sunshade filters 99% of UVA and UVB rays to protect your kids while they jump. 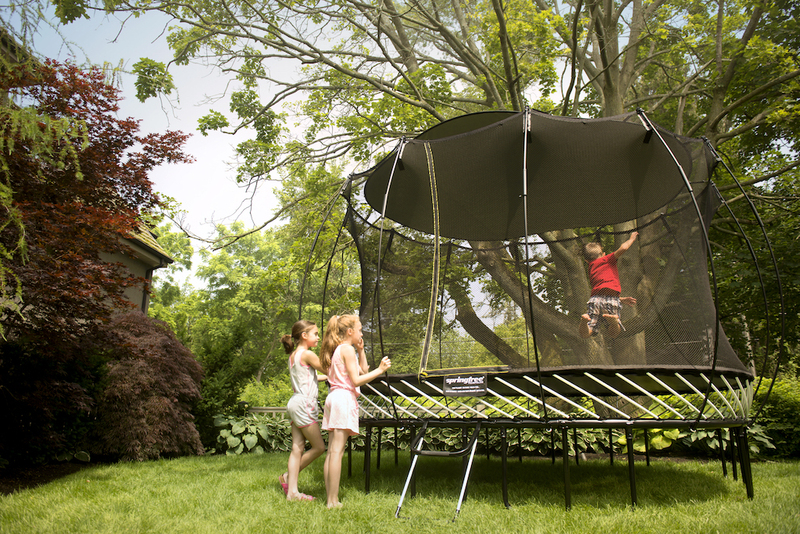 When not in use, the Sunshade easily packs away in its own storage bag. 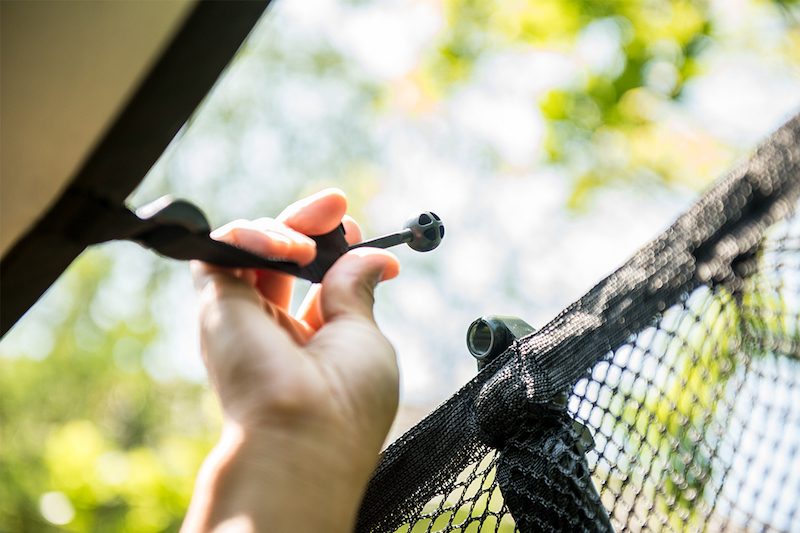 The Sunshade takes less than 5 minutes to install and you don’t need to remove anything – not even your FlexrHoop! 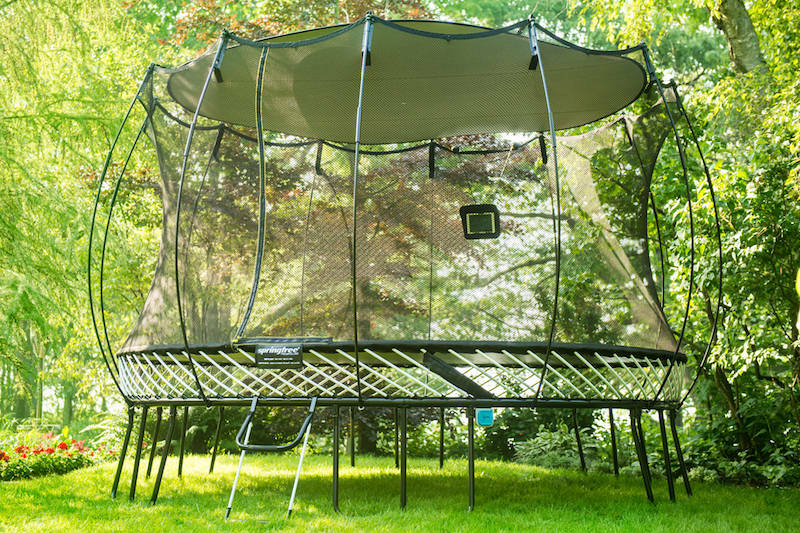 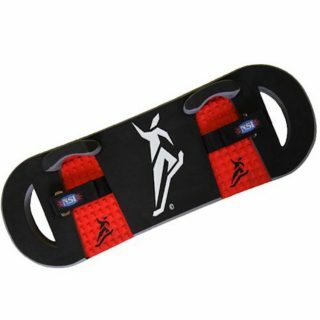 Snap the brackets to the trampoline net rods, attach the Sunshade strap to the brackets and you’re ready to jump. 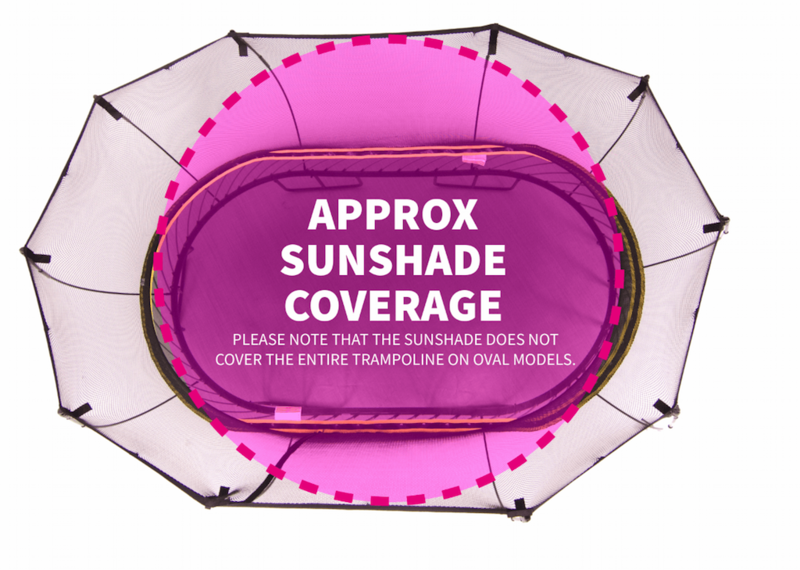 The Sunshade should be removed during periods of high winds or snow accumulation.